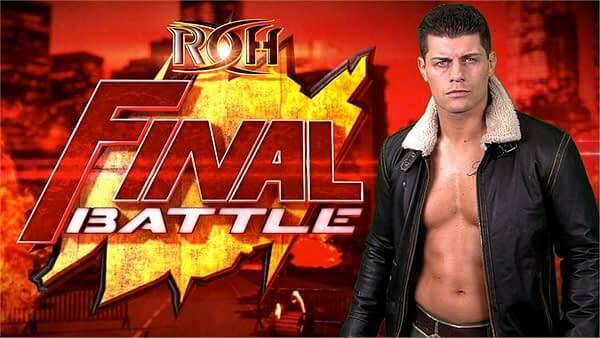 Friday, December 2nd, at the legendary Hammerstein Ballroom in New York City, 31-year-old pro wrestling star Cody Rhodes will make his first-time-ever debut in Ring of Honor, at the Final Battle pay-per-view event. Earlier this year, Rhodes left WWE, where he’d wrestled since 2006, and has been making the rounds on the thriving indie wrestling circuit, but a stint in Ring of Honor – the second largest wrestling promotion in the United States, and one of the most prestigious wrestling promotions in the world – is something else entirely. What does a veteran like Cody Rhodes do to prepare for a debut like this? Rhodes is referring to a list he posted to Twitter earlier this year of the wrestlers he wanted to face and the things he wanted to do after leaving WWE. Several of those names are on Friday’s card, including Adam Cole, Dalton Castle, and The Young Bucks. But Rhodes’ opponent, Jay Lethal, isn’t one of them. Part of Cody Rhodes’ journey toward Madonna-like status involves glory outside the ring, in Hollywood. Rhodes guest-starred on an episode of CW television show Arrow earlier this season, following a long-running wrestling rivalry with the show’s star, Stephen Amell. There’s a “good chance” Rhodes could return to the show, or elsewhere in the DC TV Universe, in the future. A lifelong comics reader? Rhodes would fit right in here at Bleeding Cool! Could that be a hint about a future Hollywood role? Marvel is, after all, making an Inhumans TV show, set to debut next year. “Hugh Jackman Wolverine is pretty special,” Rhodes added, “but I’m just talking from the pages.” Of course, that goes without saying. Everyone loves Hugh Jackman. On Friday, at Final Battle, it’s about Jay Lethal, Ring of Honor, and pro wrestling, a business Rhodes grew up immersed in. We asked Rhodes what he thinks of the way things have changed since then.  While the inner workings of the wrestling business were once a closely guarded secret, today, 150,000 people belong to a subreddit that discusses its backstage happenings on a daily basis, amongst hundreds of other sites and forums dedicated to the sport. That being said, Rhodes doesn’t have a problem with internet smarks, the term used to describe people who follow wrestling as much for the behind-the-scenes gossip and critical analysis as for the entertainment value. So maybe there’s some hope for some of our comics gossip loving readers who have somehow resisted pro wrestling’s recent pop culture surge, and Ring of Honor’s Final Battle might be a great “jumping on point,” as we like to say in the comics biz. To that end, we asked Rhodes to explain how Ring of Honor differs from the way casual fans and non-fans might view mainstream pro wrestling. Will it be a true win or a true loss on Cody Rhodes’ record when he faces off against Jay Lethal this Friday? We’ll be watching to find out, and we encourage you to as well. Attractive physical specimens engaging in epic battles featuring amazing feats of strength and skill? Surely comic book fans can see the appeal. If you’re a WWE fan and you haven’t ventured outside that company’s admittedly wide breadth of offerings, there’s no time better than this Friday to look outside your comfort zone. If it’s your first time ordering a Ring of Honor PPV, there are a ton of ways to watch Final Battle. It’s available on PPV on all cable and satellite providers, and can also be viewed on the Fite TV app. For our internet savvy readers, Final Battle can be purchased and streamed online from ROHWrestling.com for $34.95. The show kicks off at 9PM, and wrestling PPVs usually run for two and a half to three hours, which is actually a better deal, talking pure entertainment hours for your dollar, than most comic books. To keep up with Cody Rhodes, follow him on Twitter, where Rhodes posts updates about everything he’s doing.